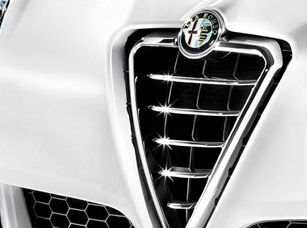 Currently, the Italian luxury auto brand Alfa Romeo confirmed the plans to increase the lineup of three new luxury model to eight cars. The auto manufacturer planned to full the lineup by 2018. Those all new cars will be equipped with innovative advanced powertrains; get the best weight distribution and updated technical characteristics and certainly the exclusive Italian design. Now we know that novelties will be available with both all-wheel and rear-wheel drives as well. There is only sad news; unfortunately, the carmaker does not plan to introduce its novelties until 2016. However, this year we will see the new sports cars –the 4C Spider and 4C. Next year the auto manufacturer plans to present a new mid-sized car, which is planned as a replacement for the “Giulia” sedan. Finally, during two-year period from 2016 to 2018, Alfa Romeo is going to launch two compact cars, one mid-sized car, a new large sedan, two crossovers and a new special sports car.